The international No. 1 bestseller is back and now available from Amazon and Booktopia in Australia/New Zealand and Stark House in the US. Click below to get your copy now! The Carter Brown Foundation in conjunction with Brio Books and Stark House Press is delighted to announce the inaugural winner of the Carter Brown Mystery Writing Awards is Wilson Toney for his novel Alibi for a Dead Man. — Al Wheeler’s introduction to Alan G. Yates autobiography, Ready When You Are C.B.! Never mind what Al thinks, the Alan Geoffrey Yates (1 August 1923 – 5 May 1985) story is as remarkable as any of his books. It’s the story of one of the most popular and prolific authors the world has ever seen. 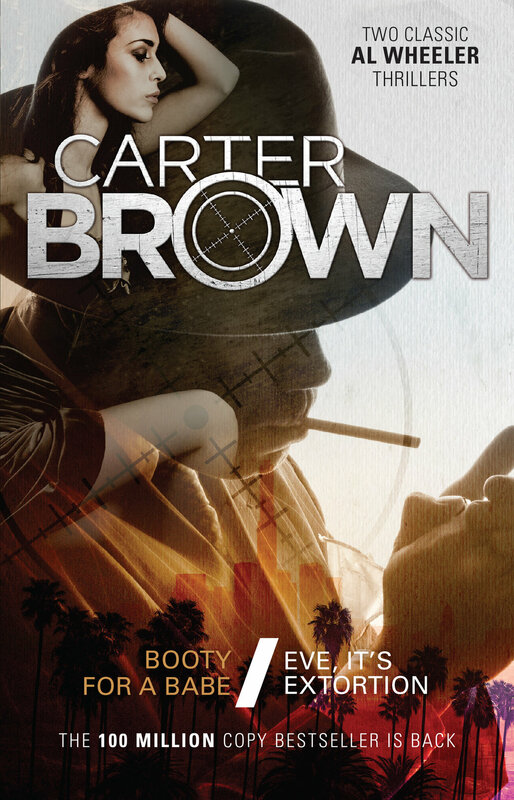 It’s the story of how Alan G. Yates wrote under his own name and many pseudonyms, the most famous being Carter Brown. Of how Yates, born in England, became one of Australia’s greatest literary exports, writing stories mostly set in a fictional US city. Many of which were written long before he’d even set foot in the country. It’s the story of how these books not only appealed to Americans and Australians but also had huge international success becoming the second most translated books after The Bible. Here’s the place to find out his story…and his many other stories. The place to keep up to date with the Carter Brown Foundation as it strives to create opportunities for new talent and to find new outlets and new ways of telling the stories of Alan G Yates.